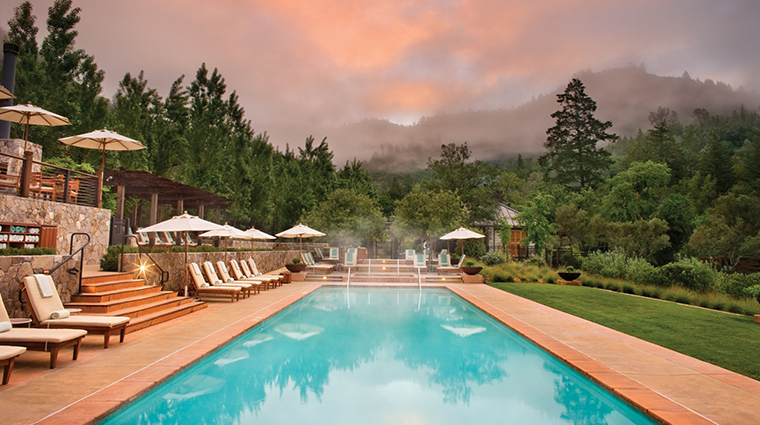 It’s difficult not to immediately relax upon arrival at Calistoga Ranch, Auberge Resorts Collection. The first thing you’ll notice is the lack of background noise. There are no cars honking, no phones ringing and not one ounce of hustle or bustle. 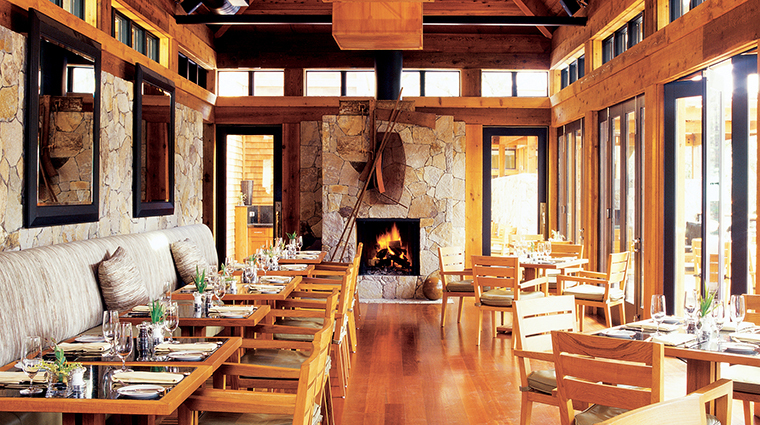 As you take in the natural beauty of the ranch — it’s all open-air windows, massive stone walls and smooth wooden beams — you automatically start to unwind. 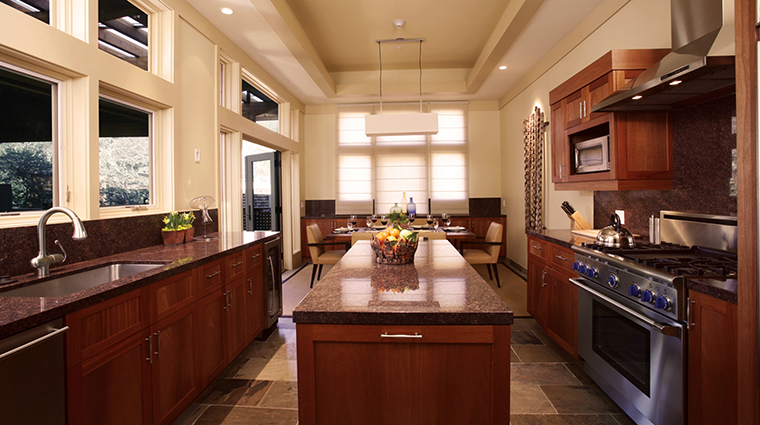 Then you’re whisked off to your guest room, which is actually more of a private lodge, in a golf cart. It’s so peaceful that you may think you’re the only one at the ranch — an accomplishment that the staff works hard to achieve. 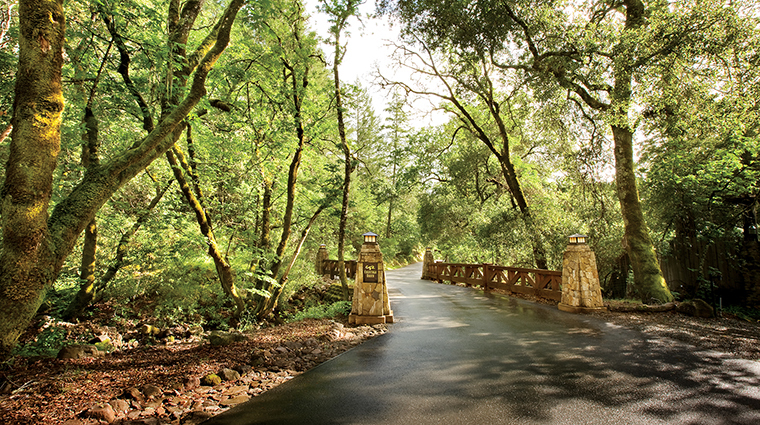 Calistoga Ranch embraces the natural surroundings as well: Each of the 50 guest rooms was specially crafted to ensure that minimal trees were cut down in the process of building the retreat. 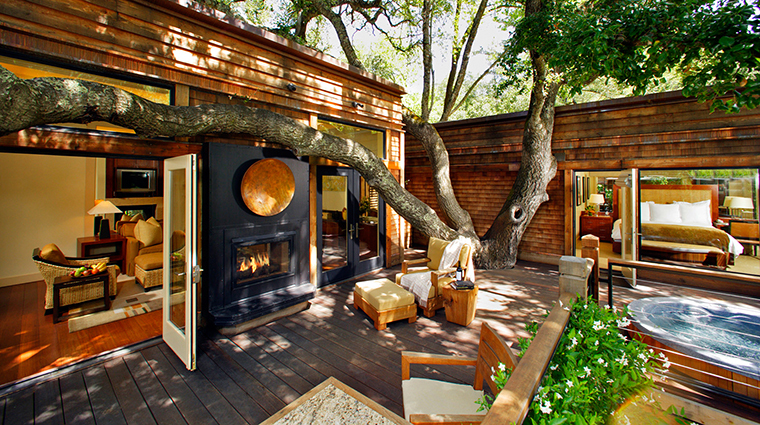 The resulting luxury hotel is very much an indoor-outdoor living space that showcases the Calistoga landscape. 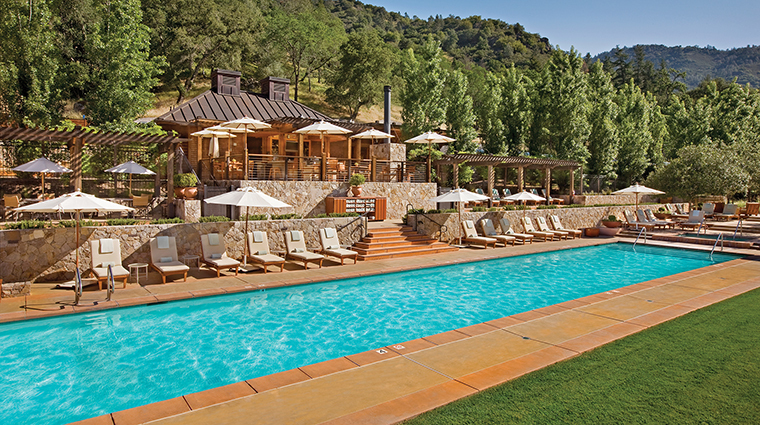 Calistoga Ranch is a functioning winery and ranch complete with an upscale chicken coop, a large garden that the chef changes seasonally, lambs and sheep that graze the land, bocce courts and a chic Tuscan-style swimming pool with grassy lounging area and blossoming oleander trees. 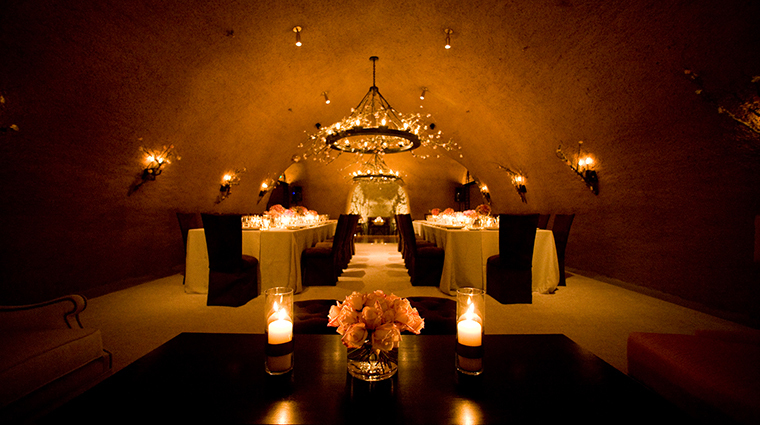 There’s also a pretty green lake and large underground cave that doubles as a romantic event space. 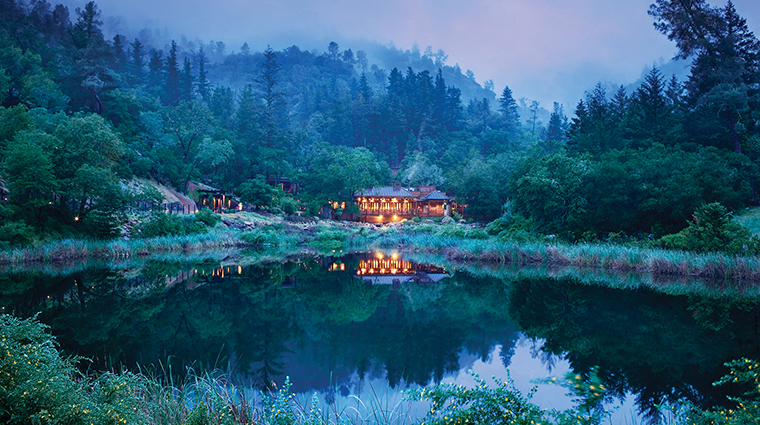 The private restaurant is a lake house that has open doors instead of windows and a wide rustic porch that looks out onto the lovely jade pond. 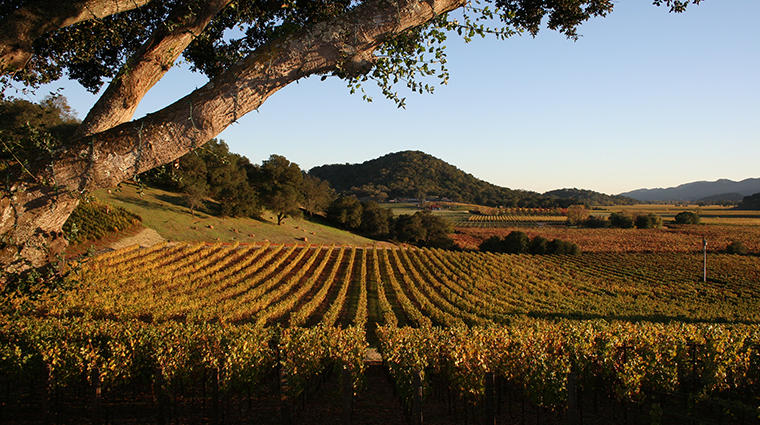 There are two acres of cabernet grapes and if you’re into learning about the wine-making process, the ranch offers different experiences throughout the year. 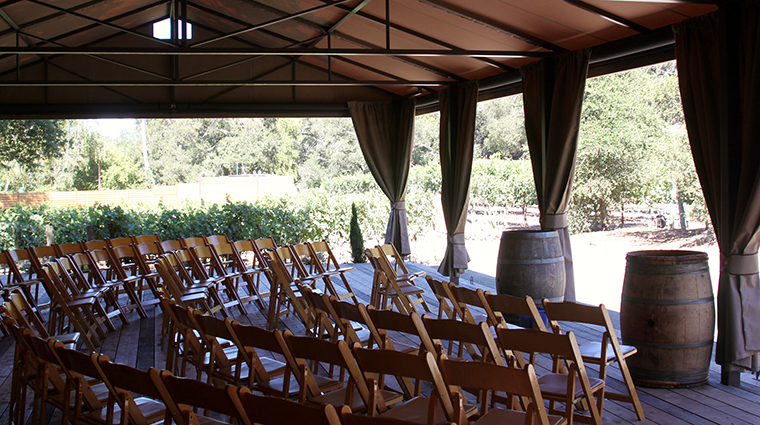 Time your visit to participate in an early morning grape harvest, the grape-stomping festival, pruning and blending opportunities, and star-gazing wine tastings. Hit up one of three hiking trails that are labeled like ski runs: green triangle for beginners, blue square for intermediates and black diamond for advanced. 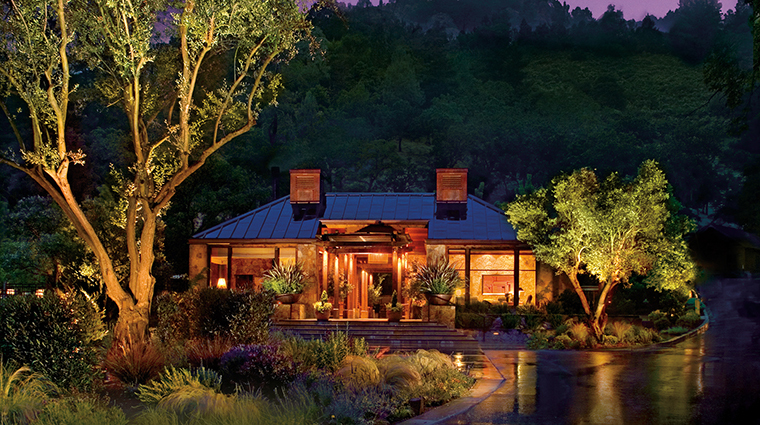 While the rooms are similar, due to the topography of the ranch, no two are exactly alike. 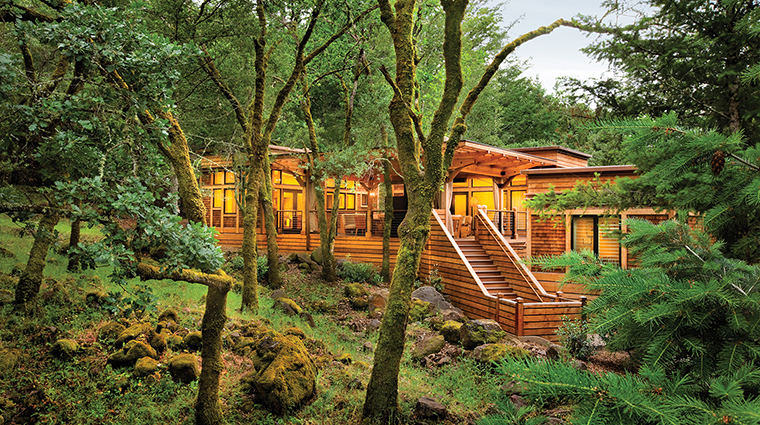 The majority of the lodges are anchored by an outdoor living space with a fireplace, hot tub and secluded patio dotted with rocks, succulents and dense trees. 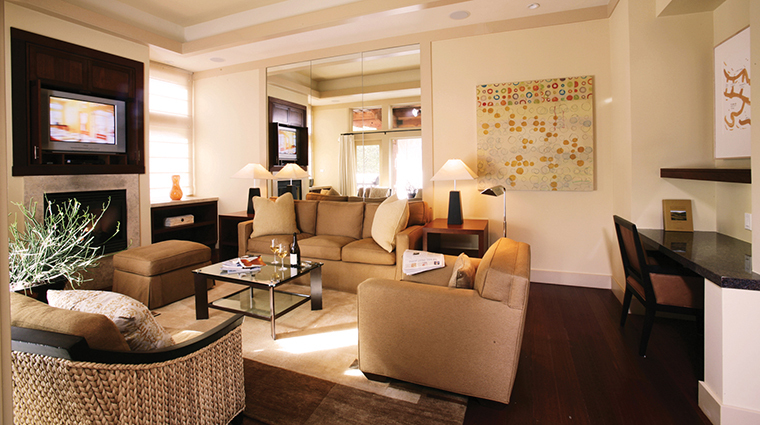 The living area, with plush couches and flat-screen televisions, is decorated with a warm color palette of creams, gold and green; original abstract artwork; and local handmade pottery. 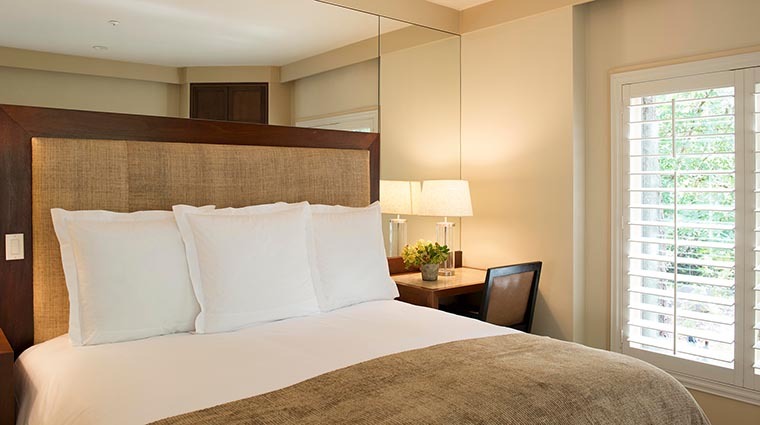 The bedroom cabin houses large beds with crisp white linens and another television. 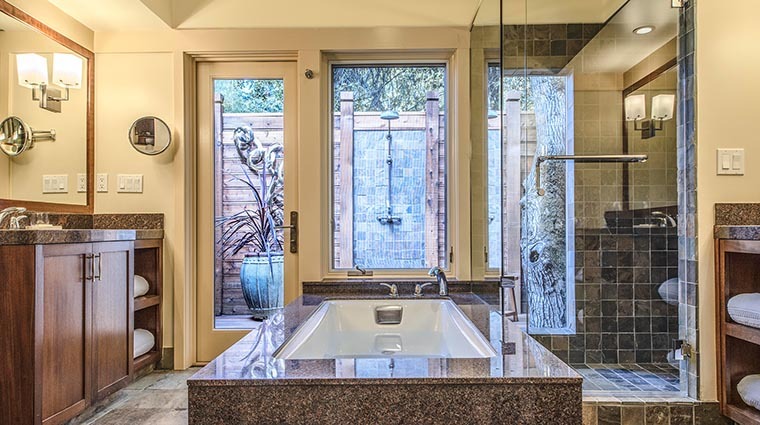 The bathroom even evokes the indoor-outdoor style with its alfresco shower and expansive windows that frame the scenery as if it were artwork. 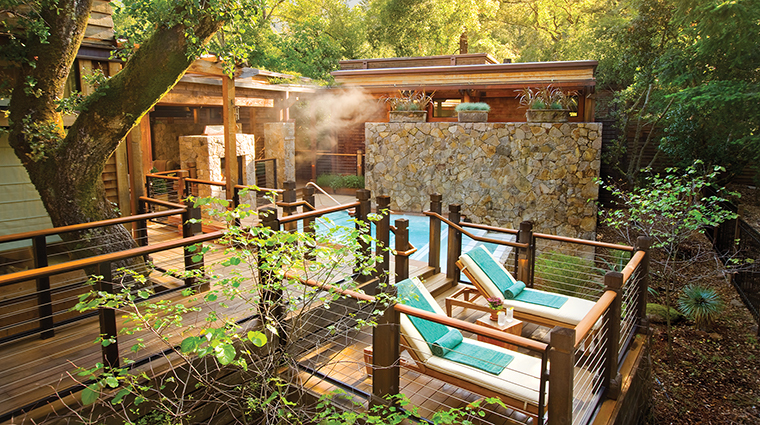 Every trip to Calistoga Ranch should involve a visit to the intimate spa. 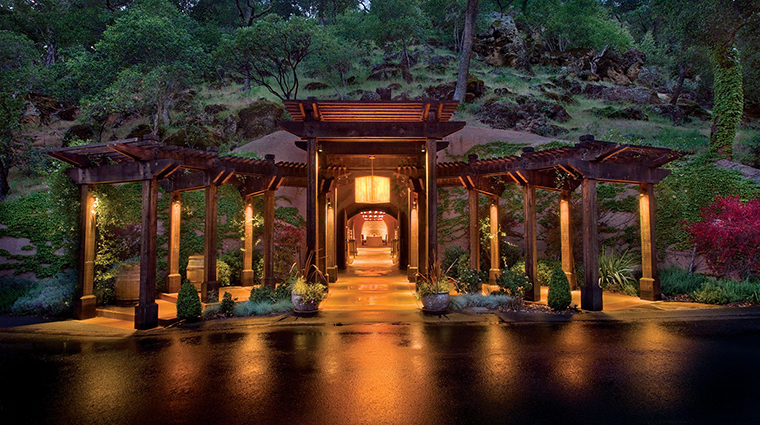 The spa is at the top of the Napa hotel, nestled into the middle of a mossy green forest. 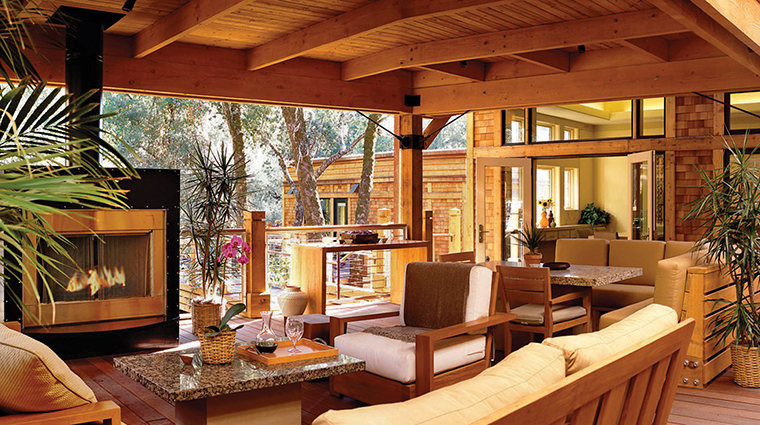 The mostly outdoor space is all wooden decks with a large fireplace and gurgling waters. 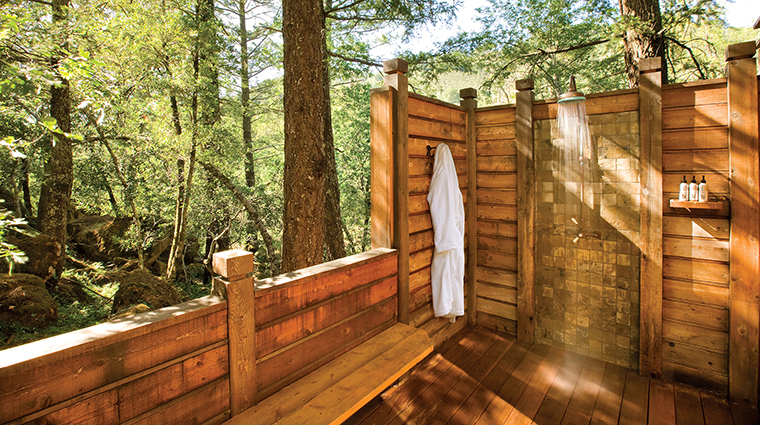 It has five treatment rooms and two large soaking pools that feature the famous healing waters of the region. 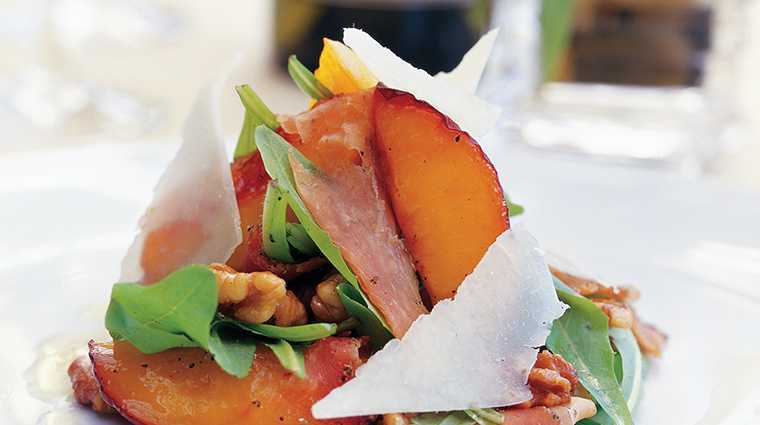 Most of the treatments, from stone massages to honey wraps, use ingredients grown on the property. Prefer to have your massage in a meadow rather than in the spa? That can easily be arranged at this service-oriented pleasure haven.